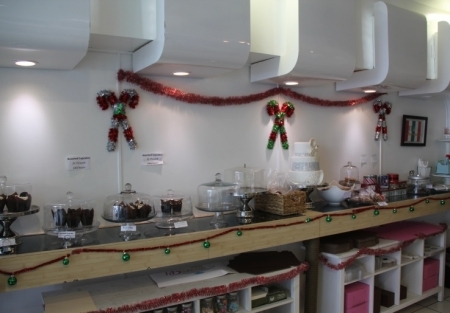 Bakery-Café location on one of the highest traffic streets in San Diego. Beach area location that can’t be beat, walking distance to the boardwalk and on a super high vehicle and walking traffic street. Seller recently bought this location from previous owner who was doing a million dollars a year in gross sales. Pregnancy forces the sale of this great location. Are you ready to be the next “sprinkles”? It all starts with a great location to showcase your product. Seller is willing to train and give you their recipes. Keep current recipes/concept or bring your own this is the location that will allow you to thrive. Yelp reviews are outstanding. Current hours can be expanded to generate substantially greater sales. Huge night crowds are not catered to at all. Catering opportunities are largely untapped, wedding season is coming up. Get in now to capitalize on the busy season approaching. Current sales are in the 12-14k per month range with very little effort. Rent on this 750 sq. ft. bakery/café is $2800 plus $350 NNN. Current lease term expires September 2019 with a five year option available. Location has very nice patio area to enjoy the beach weather and people watching. Don’t miss this opportunity to get into this outstanding San Diego beach area location.